We are proud to announce we have been selected as a Health Beneficiary charity by the National Garden Scheme who has chosen to support our amazing new Outdoor Learning Centre (OLC). This partnership has resulted in an £85,000 donation towards the £1 million appeal for this new Centre. The OLC will replace our much loved but ageing facility with one which is much more suited to the School and College students’ increasingly complex needs. This new Centre will provide our physically disabled students with access to a wider education program including horticulture, animal husbandry and areas for socialising and exploration including sensory and science activities. 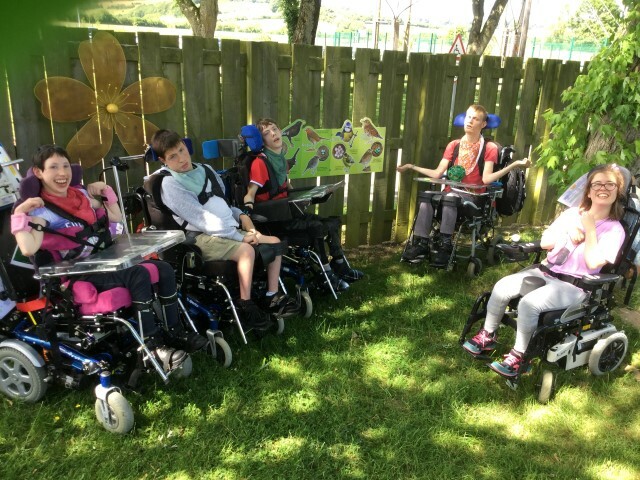 There will be both a therapeutic and educational aspect to the Centre and a focus on opportunities for real-life work experience for the wider disabled community through activities such as growing, selling, gardening, animal care and general upkeep. The ambition would be to open the area all year round which will encourage the wider community to visit Treloar’s, get involved with the students, and buy produce and merchandise. Treloar students and other local young people with disabilities will benefit from this incredible new OLC, including Isabel who has cerebral palsy, is registered blind and has language and social communication difficulties. One thing Isabel absolutely loves is to be outside – she loves to hear the birds singing, the sound of plants rustling and the running water from the water feature. Isabel has recently enjoyed planting spring bulbs. When they flower, she will be able to locate them using her sense of smell, as they were planted near some rosemary and thyme. Staff work with Isabel to describe the environment and what plants, people and wildlife are around her and the overall sensory experience brings much excitement and opportunity for her. The OLC will bring about many new learning opportunities for students like Isabel and we are exceptionally grateful to the National Garden Scheme for their generous support to this appeal.